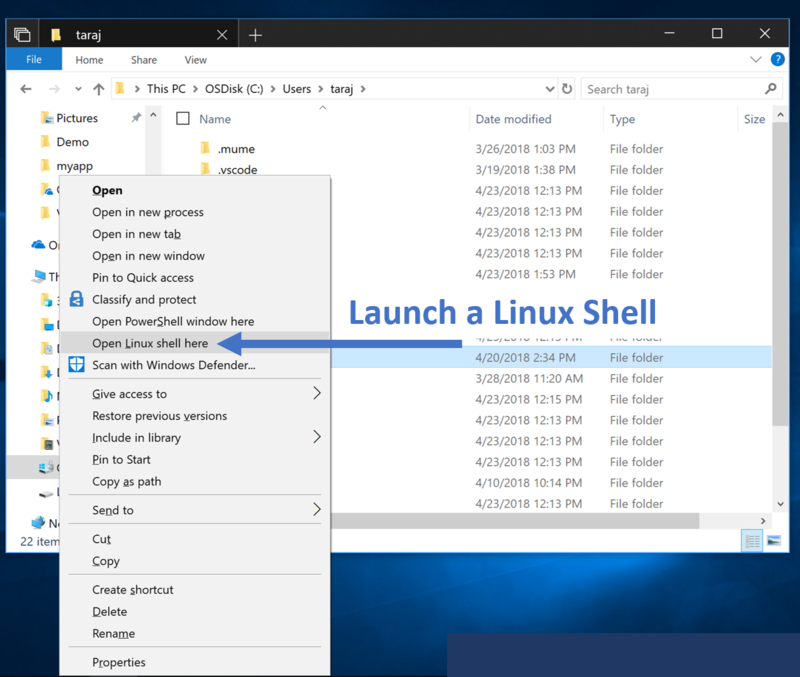 The developer reaction to Windows Subsystem for Linux (WSL) has been quite good, and Microsoft continues to update it with pretty much every release of Windows 10. There’s some really great functionality with this update which should improve the experience even further. There’s now additional Linux distros available in the Microsoft Store. If you are an Ubuntu fan, version 18.04 is now available, and Microsoft has a guide on how to update to the latest version. Also, Ubuntu 18.04 can be run on ARM devices, which is interesting. There’s also WLinux, OpenSUSE 15, and SLES 15 available in the store now. 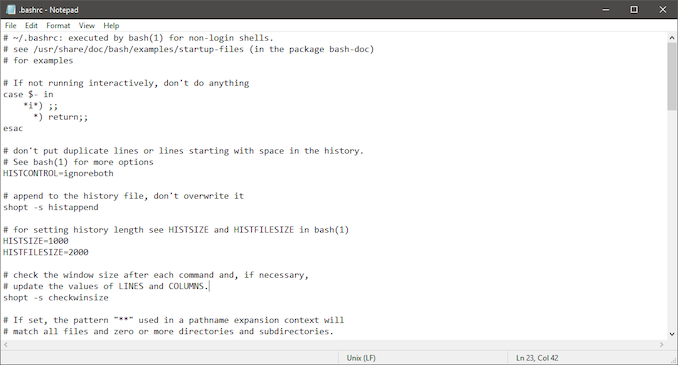 Microsoft has also added the ability to install WSL distros right from the command line, which should make setting up a new dev machine quite a bit easier. Announced at Build to much fanfare, Microsoft has updated Notepad to support Linux line endings, which means you can use Notepad to open files from Unix/Linux, macOS, or Windows. If you’ve ever been in explorer and thought wouldn’t it be great to be able to launch a Linux shell from right here, today is your lucky day. The shift right click menu will now have entry to launch a Linux shell here, which will open your default WSL distro to that path, much like the existing PowerShell option did already. Case sensitivity is now off by default on new directories created in WSL, which fixes an issue introduced previously when new directories were created in WSL which would then not work well in Windows where applications expected the directory to be non-case sensitive. You can switch directories back and forth with the setfattr command as needed. If this has been a pain point for you, check out Microsoft’s blog on the topic. 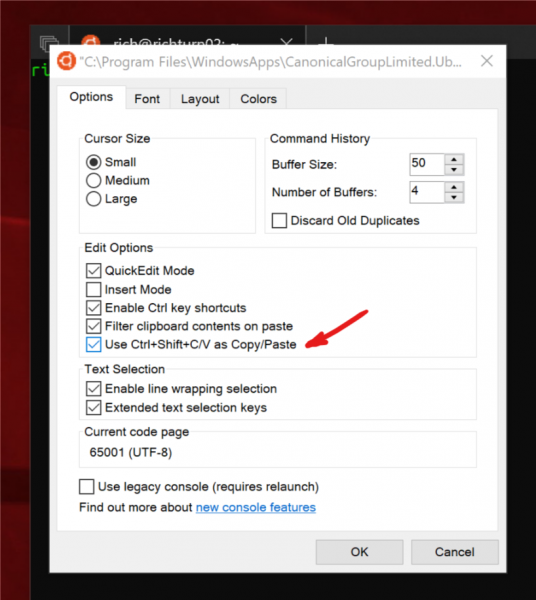 With the latest update, there’s a new option in the console option window to allow copy and paste from the keyboard shortcuts of Ctrl + Shift + C and V.